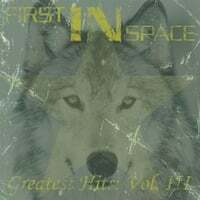 First IN Space-Greatest Hits Vol. III. Since we last left Ohio's First in Space with 2009's Geronimo, frontman Johnny Stanec released a couple of decent solo records which it appears I didn't review on the site but would still recommend. Now he's back with First in Space with the cheekily-titled Greatest Hits Vol. III, the band's third album. Whereas the band's first two albums were more in the vein on Gin Blossoms & R.E.M., Vol. III finds Stanec & Co. in a more rocking mood. The first three song titles ("Downtown War", "Kicking Through the Door", and "Drinking With Enemies") are indicative of their new-found tougher sound, more in line with The Replacements. The first two of these recall the gritty-rock-with-melodies of the 'Mats, while "Drinking With Enemies" has a mature pop-punk sound not unlike Green Day. The overall result is one tight rocker after another (no power ballads, thank you) until the mid-tempo closer "Moonlight Graham", a tribute to the obscure baseball player made famous in Field of Dreams, and which harkens back to the earlier First in Space sound. Maybe they should have titled this "Greatest Rockin' Hits Vol. III". Either way, it's a must for fans of Replacements-style rock. 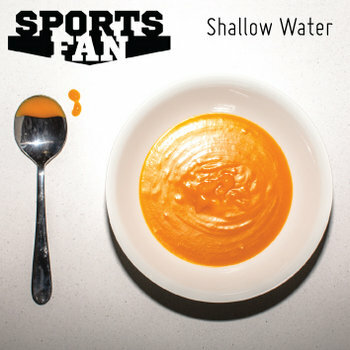 Sports Fan-Shallow Water EP. Sports Fan is the latest project from Aussie piano popper Dion Read, who gave us a couple of top-notch EPs in the latter half of the previous decade. The title track, featuring guest vocals from Jen Boyce, is a melodic gem that should be a big hit in a just universe, "Little White Lies" sounds like it should have come off the first Ben Folds Five album with its high energy and frat-boy byplay, and "Social Butterfly" is an epic-sounding ballad that's a nice complement to the two tracks before it. This is excellent piano pop, and you can name your price for it at Bandcamp.